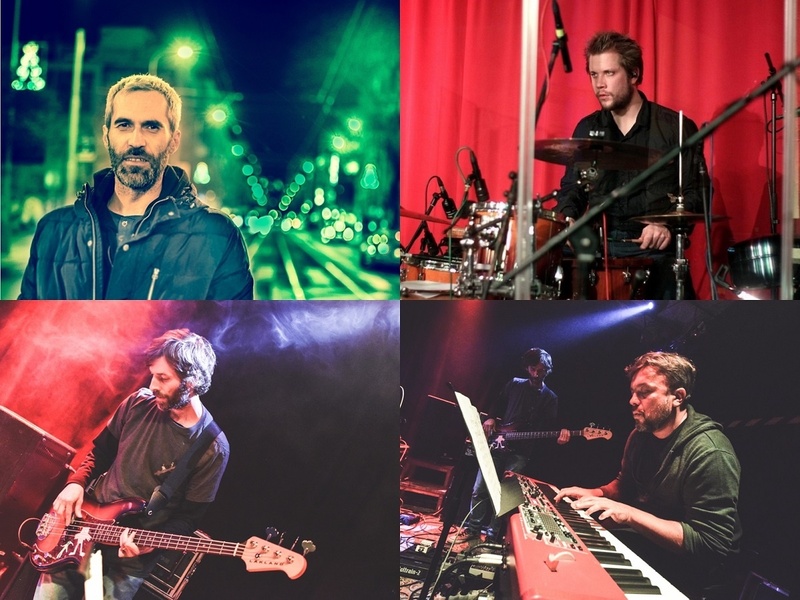 This extraordinary club jam band composed of leading musicians of the Czech music scene will blast the party off with a mix of well-known fusion and neo-funk songs (John Scofield, Medeski, Martin & Wood, Miles Davis, etc. ), as well as pop and rock covers (Depeche Mode, Michael Jackson, Doors, Led Zeppelin, etc.). Come and enjoy the vibrant rhythm, the energetic solos and sound effects of the musicians that audiences know from many preeminent bands of the Czech music scene (Kollerband, Muff, Aneta Langerová, NUO, Bucinatores orchestra, SOIL, Yvone Sanchez, Lena Yellow, Michal Ambrož and Music Prague, Kontraband, and Ivan Kral, to name a few). Jiří Šimek – g; Jakub Zitko – keys; Jakub Vejnar – b; Adam Koller – dr.